Before you take part in a risk assessment or analysis, you need to understand what is a risk. 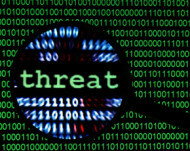 Risk = potential for bad stuff because a threat exploits a vulnerability. This ranges from cyber-criminal organizations to the snotty nosed kid hacking from his parent’s basement. You can’t protect everything from every threat so luckily, a HIPAA Risk Analysis (or assessment as some people call it) only looks at threats to electronic protected health information (ePHI.) A side benefit is that the threats that exist to the ePHI are often the same threats that exist to all your information. Going through a risk analysis can prevent future loss of data and work stoppage. It is also required by federal law. Knowing what threats and vulnerabilities to look for can save your staff valuable time and frustration during the risk analysis process.